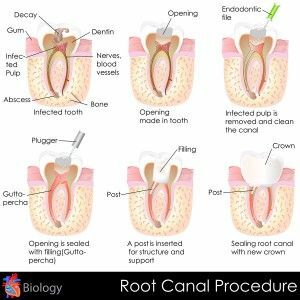 When the inner nerve of a tooth becomes affected by decay or infection, Dr. Jayson C. Haws may recommend a root canal in Brigham City, Utah. When the nerve of a tooth becomes decayed or infected, the tooth may become extremely sensitive to both pressure and temperature, and intense pain can be expected. In the initial stages of decay and infection, it is possible that no symptoms would be present. However, in the advanced stages of decay and infection an abscess (pimple-like inflammation on the gums) will form. To learn more and to schedule an appointment, contact Haws Family Dentistry.